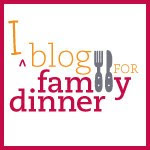 eatdinner.org: Are food bloggers unhealthy? Are food bloggers unhealthy? I would say no, but the NYT Wednesday Food Section recently had an article on food bloggers and how their love of food and fat connotes an unhealthy life. The article's specific example is Jason Perlow, founder of eGullet, who is making life changes after an emergency hospital visit this fall. He received a diagnosis of diabetes and a prognosis of less than 5 years to live. He weighed over 400 lbs at the time. I get where the Fat Pack coming from, but my experience is quite the opposite. Most of the food blogs I read seem to be about healthy food and healthy eating habits. I tried to find some "outrage" over this article in the blogosphere, but there was very little. Chowhound had a lively discussion, but that was all I could find. Is it a non-issue, or perhaps there's a great divide between "fat foodies" and healthy ones? The family angle, plus my interest in local and organic food, probably tip my Internet reading to the healthy side. Even if you don't think of your own health, you want your kids to have healthy foods. The real struggle for most families is the lure of fast food and convenience foods. They might seem healthy from the packaging or the name, but many convenience foods are really over-processed and packed with hidden sugar, fat, and salt. Family dinner puts most of our meals at home, and mostly home-cooked, rather than at the high-end restaurants that many so-called foodies frequent. Still, we don't eschew any food in our family. We use plenty of butter and have bread and pasta regularly, foods that many consider "unhealthy." These are coupled with lots of fresh fruit and vegetables, and a moderate amount of meat, chicken, and fish. The books Real Food by Nina Planck and In Defense of Food by Michael Pollan get at the core message, I think. Healthy eating means real food, not industrial food, in moderation and as part of a family meal or communal table. More reasons for family dinner! Chowhound's discussion, including some very relevant comments about diabetes and moderation.